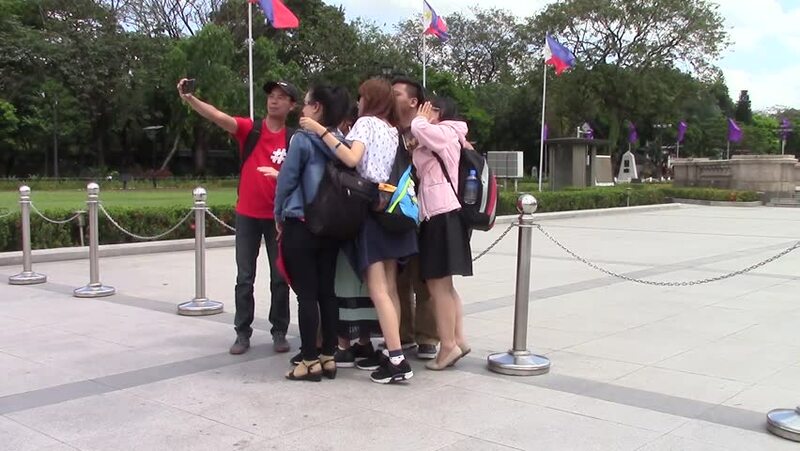 MANILA, PHILIPPINES - CIRCA MARCH 2017: filipinos teenagers take a selfie with a smartphone in front of a monument in the city of Manila, Philippines. hd00:25A cute boy catches up with his father on rollerblades. A man and his son are riding roller skates in the park. Slow motion. 4k00:13Happy mother with little baby daughter girl swing on background of sunny sky in the park. Wide angle shot. 4K UHD. 4k00:13VILNIUS, LITHUANIA - MARCH 11, 2015: Mother with little baby daughter girl swing in spring park playground on March 11, 2015 in Vilnius, Lithuania. Wide angle shot. 4K UHD.